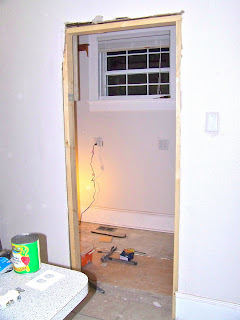 Last you saw, we had completely ripped apart the old bathroom (including adding a new entrance), moved the plumbing, put in new electrical and fixed the floor. To see how we did that you can go here. As with most projects, once you rip everything apart, you must put it back together again. 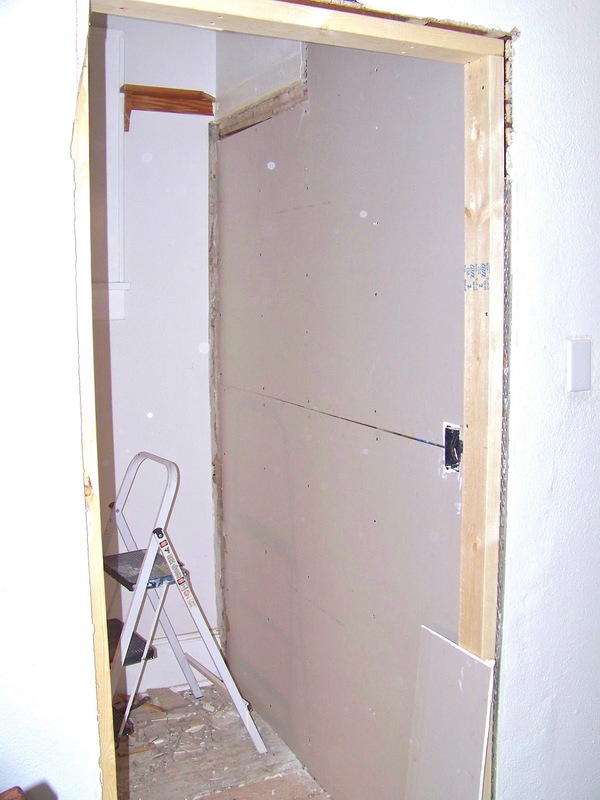 The first step in doing this was to frame out the new door and frame in the old door so we could drywall over it. We carefully measured the frames, built them in the hallways and then hammered them into place so that they were nice and snug. 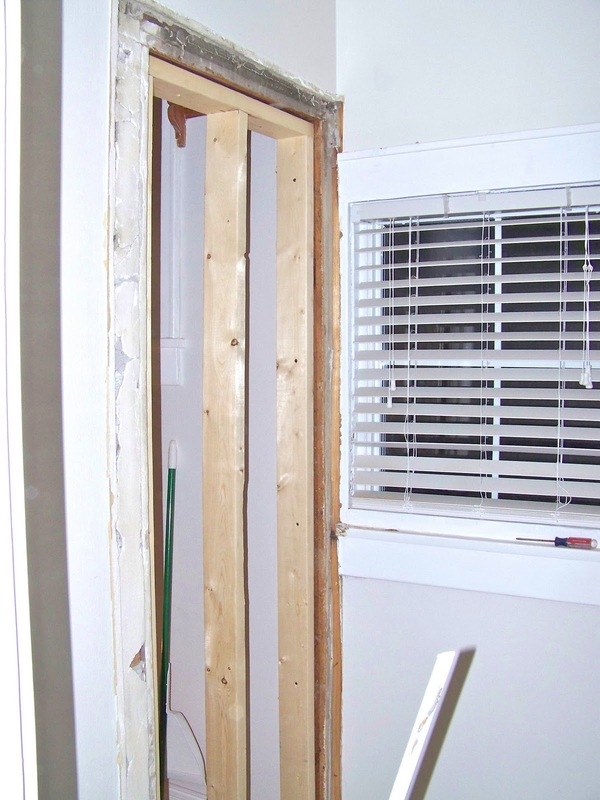 Once the frames were in, we could close up the walls and ceilings with drywall. 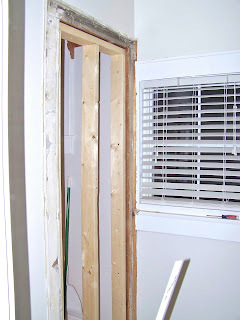 While I cut the pieces of drywall, Nate shimmed out the walls with the old lath so that the new drywall would match up with the old plaster and lath (and therefore not having noticeable transition lines). 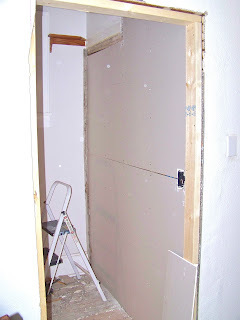 Then we were able to screw the drywall up with very little issue. 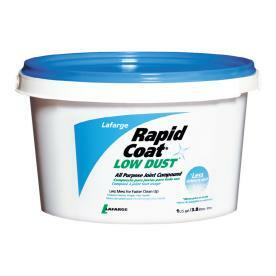 It goes on really nicely and dries really fast. By the second coat all the seams looked nice and smooth. 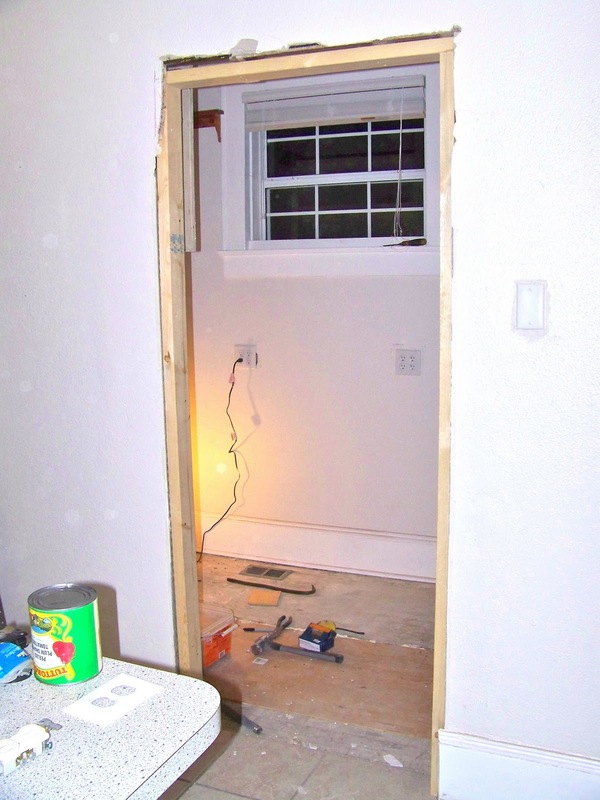 Here is the back entrance sans bathroom door. The nice thing about this plan is that we can use the shelving that is already in the pantry (which we had not taken down) and I can use the space underneath the old shelving for cleaning supplies. We are also going to keep the old medicine cabinet to hold spices. 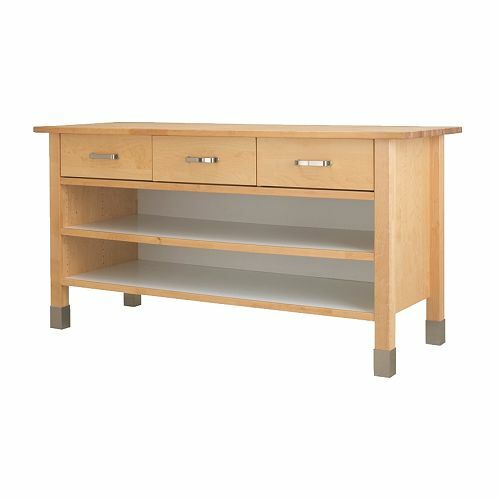 We built and put the new Ikea unit in the new pantry so that while we are in the process of building the shelves, we can actually use the pantry. Right now things are just kind of haphazardly placed, but we will eventually figure out the correct configuration for all the appliances. I also got some cheap carpet tiles for some temporary floor/feet protection until we put down the new floor. We've been using the pantry for about a week and a half and we are really enjoying the extra storage (despite the fact that we haven't put any of the shelving in yet). We are really excited to get the shelving in so that we can finally stock up on some non-perishables (we have almost no space for that right now). We went today to get the supplies for the shelving and while we are hoping to make some major progress this week, we had to order some parts so everything probably won't be installed for another couple of weeks. ohhh it always takes more time and money than you expect. good luck with the rebuilding. thanks so much for linking up and linking back to catch as catch can! Nice job - good luck with your rebuilding.